New Delhi: Israel’s Prime Minister Benjamin Netanyahu arrives in New Delhi on Sunday on a four-day visit. This is the second visit to India by an Israeli prime minister since the two countries established diplomatic ties in January 1992. Netanyahu’s visit comes six months after Narendra Modi visited Israel in July, the first ever by an Indian prime minister. The two countries are celebrating 25 years of friendship, and collaborating in a spectrum of areas. ■ 1947: The UN drafted a plan of partition of Mandate Palestine, approved by the UN General Assembly, but rejected by most of the Arab world and also by India. ■ 1950: India recognised Israel, but did not establish diplomatic relations. 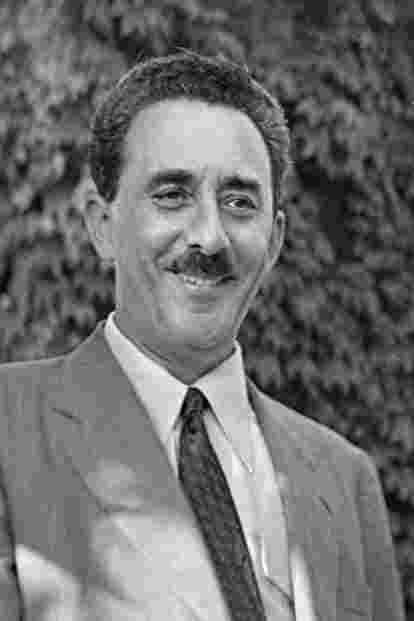 ■ 1956: Israeli foreign minister Moshe Sharett visits India in the middle of the Suez crisis when Israeli armed forces pushed into Egypt after Egyptian President Gamal Abdel Nasser nationalized the canal. India was one of the mediators along with the US, the UK and Yugoslavia. ■ 1962: PM Jawaharlal Nehru writes to Israeli PM Ben Gurion seeking arms and ammunition supply during the war with China. Israel responds, making it the basis for defence ties between the two countries. ■ 1971: PM Indira Gandhi asks then Israeli PM Golda Meir for weapons for the war against Pakistan. Meir agrees. ■ 1977: Foreign minister Moshe Dayan visits India, meets PM Morarji Desai. ■ 1985: PM Rajiv Gandhi meets with his Israeli counterpart Shimon Peres on the sidelines of the UN General Assembly meeting. It’s the first public meeting between leaders of the two countries. ■ 1992: Diplomatic ties between India and Israel formally established by the Narasimha Rao government. Israel opens its embassy in New Delhi in February and in May, India opens its embassy in Tel Aviv. ■ 1996: India acquires 32 IAI Searcher unmanned aerial vehicles, or UAVs, from Israel. ■ 1996: Israeli President Ezer Weizman leads a 24-member business delegation to India. Weizman is the first Israeli head of state to visit India. During his visit, a weapons deal involving the purchase of the Barak-1 vertically-launched surface-to-air missiles is finalised. ■ 1999: Israel supplies weapons as India battled Pakistani insurgents and army regulars during the Kargil war. ■ 2000: Home minister L.K. Advani meets Israeli President Weizman in Tel Aviv to discuss techniques employed to curb terrorism. India and Israel set up a joint anti-terror commission after a visit by foreign minister Jaswant Singh. ■ 2003: Ariel Sharon becomes the first Israeli PM to visit India. ■ 2009: Israeli Barak 8 air defence system is sold to India for $1.1 billion. ■ 2014: PM Narendra Modi meets Israeli PM Netanyahu on the sidelines of the UN General Assembly session in New York, the first such meeting in over a decade. ■ 2015: Defence minister Moshe Yaalon pays first official visit to India. ■ 2015: India abstains from vote against Israel at the UN Human Rights Commission, signalling a shift in its Israel-Palestine policy. ■ 2015: President Pranab Mukherjee visits Israel to initiate deals on various collaborative projects on technology and culture. ■ 2016: External affairs minister Sushma Swaraj visits Tel Aviv. ■ 2016: Israeli President Reuven Rivlin visits India for six days. ■ 2017: Three warships from the Indian navy dock in the Israeli port of Haifa. ■ 2017: Pilots from India join pilots from Israel, the US, Germany, France, Italy and Poland for the 2017 Blue Flag exercise, the largest aerial training exercise to ever take place in Israel.